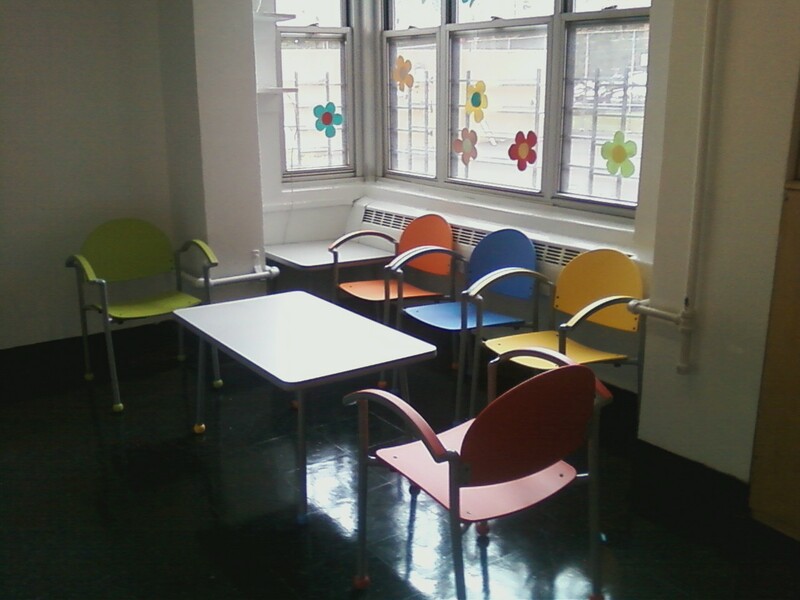 Brian the director at East River was so pleased with the Bola thermoplastic chairs that he ordered more. I love the way the Bola thermoplastic chairs coordinate with each other and the Bola table. 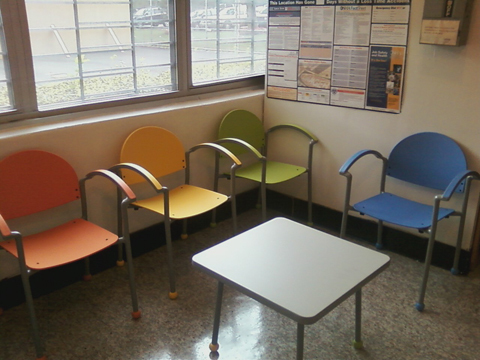 The splash of colors really brighten up this seating area. 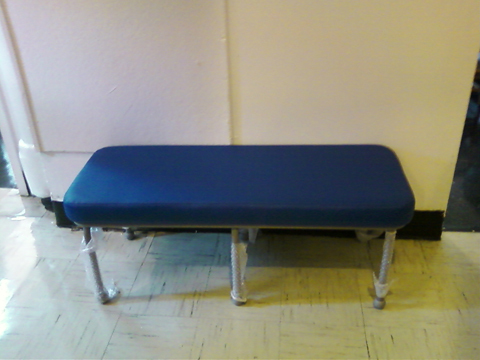 The Bola bench covered in a beautiful wipe clean vinyl is perfect for this seating area.